Made of 925 sterling silver with AAA real clear Zircon. Colors of zircon: purple, clear, jet, black, brown, etc. 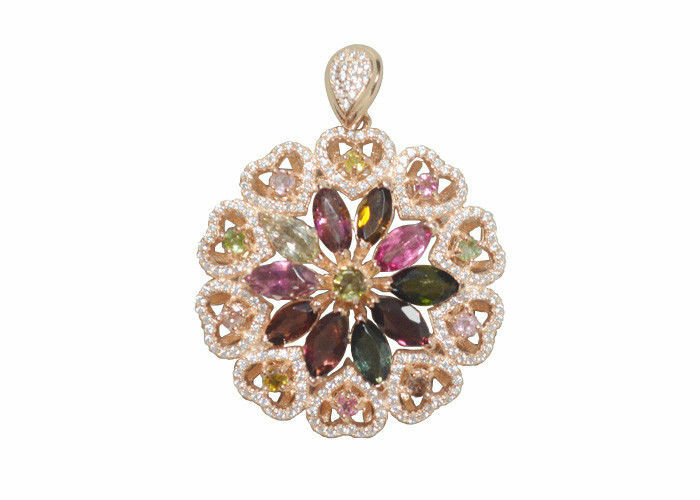 This pendant is full of heart shape outside, and flower in the middle. 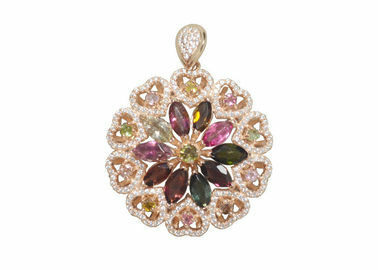 The pendant is handmade and hand-polish byzantine with reasonable price. The surface of this pendant is gold plated. We welcome OEM or ODM design.